Here are the updated TV ratings for the American Ninja Warrior series. After airing on G4 for three seasons, the show that seeks to find the ultimate athlete is also running on NBC. American Ninja Warrior typically airs Monday nights on the peacock network. These are the TV show’s ratings for the Summer 2012 season, the best way to tell if American Ninja Warrior is going to be cancelled or renewed for another season on NBC. Final season averages: 1.9 in the 18-49 demographic with 5.11 million viewers. 2.0 in the demo (+11% episode-to-episode change) with 4.87 million. Season averages: 1.94 in the demo with 5.11 million. 1.8 in the demo (+29% episode-to-episode change) with 4.59 million. Season averages: 1.94 in the demo with 5.13 million. 1.4 in the demo (-26% episode-to-episode change) with 3.99 million. Season averages: 1.96 in the demo with 5.14 million. 1.9 in the demo (-5% episode-to-episode change) with 5.70 million. Season average: 2.05 in the demo with 5.33 million. 2.0 in the demo (+18% episode-to-episode change) with 5.78 million. Season average: 2.08 in the demo with 5.40 million. 1.7 in the demo (-23% episode-to-episode change) with 4.99 million. Season average: 2.10 in the demo with 5.50 million. 2.2 in the demo (+5% episode-to-episode change) with 6.78 million. Season average: 2.23 in the demo with 5.67 million. 2.1 in the demo (-13% episode-to-episode change) with 5.79 million; first in the timeslot. Season average: 2.25 in the demo with 5.50 million. 2.4 rating in the 18-49 demographic with 6.20 million total viewers; tied for second place at 9pm, tied for first at 10pm. Season average: 2.40 in the demo with 6.20 million. The premiere’s numbers don’t compare with The Voice’s but they are significantly better than what NBC was getting with Smash towards the end of its season. Considering that the Ninja Warrior isn’t costing the network very much, this was a positive start. What do you think? 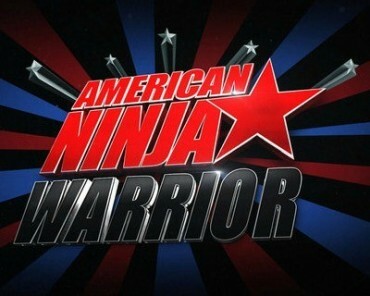 Do you like the American Ninja Warrior TV series? Do you think it should be cancelled or renewed for another season on NBC? I am a HUGE fan of the show! It should be kept for atleast 10 seasons! I get to go on season 8 since i’m turning 18 in December…. I have trained so hard for the past year and a half I can’t have my dreams crushed by a network! Definitely renewed! It’s also inspiring for viewers.